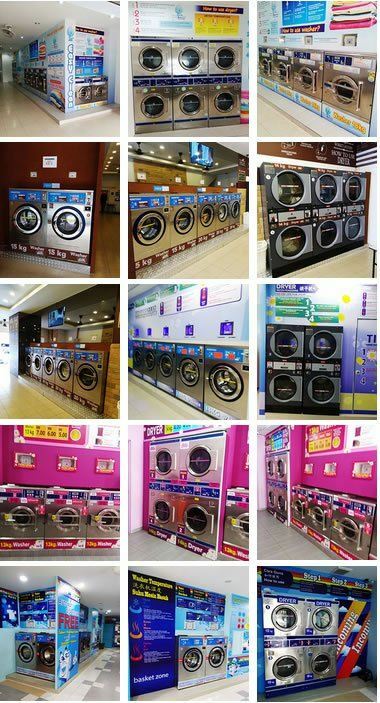 DOBITEC GLOBAL SDN BHD - Start a self service or coin operated laundry business, franchise in Malaysia? We are laundry specialist, supply commercial, industrial laundry machinery, equipment, spare parts. Dobitec global Ltd, has started to wide-spread its business arm to all part of the world. Our plans includes supplies of laundry machinery,spare parts, detergents and all related laundry consumable products. We stocked ample of goods in our warehouse located in the main land of China. This warehouse houses a value of stockist at any inventory count is exceeding USD 2 million. In the event of optional model manufacturing, we guaranteed a shortest delivery period of not exceeding 3 weeks lead time. 1.Recruit exclusive dealership in every country. 2.Recruit wholesaler for each continent. Take note of the following benefit to being part of our associates. 2.Speedy delivery within 10 days ex-work upon L/C establishment. 3.No limitation on quantities for goods ordered. 4.Free printing of brochure on respective languages. ** Remarkable quantity order only or actively selling our product for a period of six month. *** Parts replacement has to be justified by our engineer.